Tomorrow on Friday 9 April 2010 One Indian Premier league match will be played between Kings 11 Punjab and Mumbai Indians in Mohali. 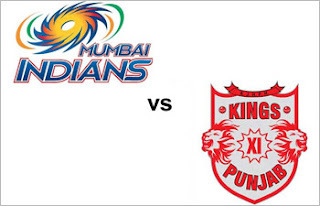 It is a match between first and last Position team because Mumbai is at no. 1 on Point table while Punjab is at no. 8. Lets see who wins this match.